London holidays are always filled with iconic attractions and historic monuments. 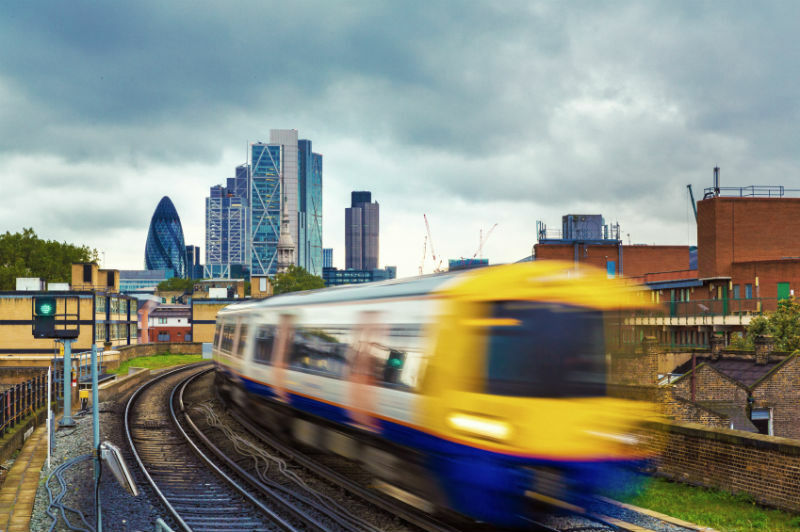 But if the chaos and noise of the city gets too much, spiralling out from London you can discover countless more world-renowned destinations, all of them easily accessible by train. Here are eight easy London day trips with direct and regular rail connections from the capital; half a dozen of which are less than one hour away. The Queen officially lives at Windsor, the world’s largest and oldest inhabited castle. Each state room is filled in the most luxuriant of styles, including a collection of precious artwork from the likes of Michaelangelo, Rembrandt, and Da Vinci. Corridors are lined with aristocratic opulence while the vast lawns and castle remains can easily fill a whole day. From Monday to Saturday during the summer, the Changing of the Guard happens at 11am, but arrive by 10:30am to get a good view. Note that the Windsor state rooms are closed when the Queen is entertaining, so check Her Majesty’s calendar in advance. When the sun is shining there are few better places in England than the Brighton promenade. Wander beside the beach with a packet of fish and chips, lounge in a striped deckchair, and absorb Brighton’s colourful and eclectic characfter. Down the streets that run away from the seaside, you’ll find many cafés and restaurants, each radiating the town’s easygoing and friendly atmosphere. A stroll through Cambridge reveals eternal impressions of traditional England. Walk or take a boat along Cambridge River, then wander through The Backs and get lost amidst the fabulous lawns and chapels of King’s College and Queens’ College. Cambridge is relatively compact and it’s easy to fit a lot into a day trip. Sample the courtyard of Trinity College, admire the ancient manuscripts in the Wren Library, then take your pick from Clare College, Pembroke College, and the breathtaking St John’s College. Britain’s most famous cathedral is less than an hour from London by train. Home of the Archbishop of Canterbury, this fabulous cathedral has a 1400 year history and countless monarchs are buried in its crypt. After a visit to the cathedral, Canterbury town has some cute shops and many places for tea and scones. The evening choir singing adds a resonant chorus to the handsome interior. Delightful Winchester seems stuck in a forgotten century, its impressive cathedral and quaint streets a calming break from the city. Winchester College easily rivals the grandeur of Oxford and Cambridge, while the remains of Wolvesey Castle are free to visit. Like Canterbury, Winchester is easy to explore on foot regardless of your age. The famous university city continues to stick to its traditions; tiny pubs with hand pulled beer, green squares for reading a novel, vibrant cobbled streets leaning towards antiquity. Then there’s the iconic colleges to explore, the most popular being Christ Church, Magdalen, and Exeter’s gothic chapel. Complete this Oxford day trip by visiting the Bodleian Library, one of the world’s largest with over 100 miles of shelves in a 400 year old building. A little further than Brighton but still with direct trains to London, Hastings combines a day at the seaside with memories from the famous 1066 Battle. The castle lies in ruins above the waves, next to numerous ice cream stalls and seafront cafés. Hastings is quieter than Brighton and makes a very leisurely London day trip. It sounds a little ludicrous but Paris is only 2 hours 16 minutes from Central London on the Channel Tunnel. After a full English breakfast you can be in Paris for a walk along the Seine, a glimpse of the Eiffel Tower, and a lunch of fresh baguettes and cheese. While your time in the French capital will be short, many of the city’s iconic attractions line up along the River Seine, meaning you can see a lot without going far. Many people overlook travel insurance for UK holidays and could face significant costs if they don’t have a quality policy in place. With an Annual Multi-Trip policy, you can cover all your last minute UK trips without the need to plan ahead. Get a quote online or speak to a member of the insurance team on: 0800 033 4902.